Did you know Up to 1 in 5 women and girls worldwide have polycystic ovary syndrome (PCOS)? 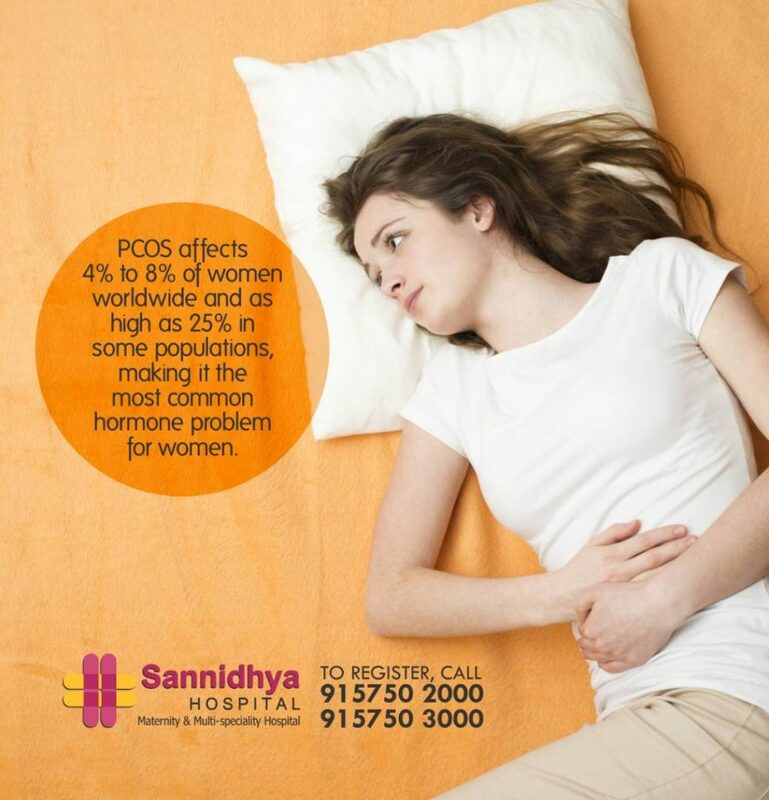 PCOS does impact on female’s ovaries, hence the name Polycystic Ovarian Syndrome. But it is also so much more than that. PCOS impacts on just about every area of women’s body and her life. She gain weight easily, may have mood swings or struggle with depression. She have very real fears around her ability to fall pregnant. So, no, PCOS doesn’t affect just her ovaries. It affects her. Because PCOS can cause so many physical and emotional complications, it is important for early detection, treatment and support. Sannidhya MULTI Speciality Hospital, South Bopal, Ahmedabad department of Obstetrics & Gynaecology is fully equipped to deal with PCOS Fertility problems including laproscopy, IUI, IVF, Surrogacy, High Risk Pregnancy, Ante Natal Care of Expectant Mothers. Our Women’s Health Department is headed by Celebrity Consultant Gynaecologist & Fertility Specialist Dr Archana Shah. To know more and book appointment with Dr Archana Shah, call on 915750 2000/3000.